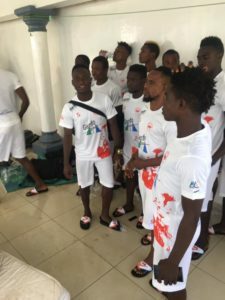 Assistant coach of East End Lions, John Sama, has said they have the squad to face any challenge in the Sierra Leone Premier league this season and to battle for the league crown. The Killers have already registered two wins out of two with the latest against Old Edwardians, and assistant coach believes their performance against the May Park Boys showed the depth they have in their squad to face any challenge. The former East End Lions and Leone Stars midfielder believes they can still improve on their performance match after match, adding that the more games they play, the more fitness the boys will gain. East End Lions will travel to the Far East, at the Approved School ground on Saturday as they face Anti Drugs FC in search of their third win of the season.